we can use this for vehicle tracking, home appliance control, connect devices with internet, GSM network monitoring, SMS Alert in Home security system. 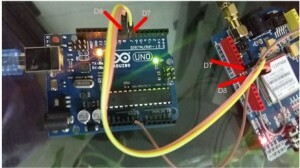 How to connect with Arduino? 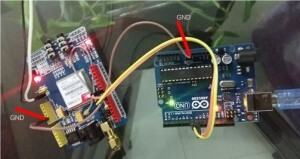 Connect Digital Pin 7&8 with Arduino. Common the ground. connect 2 jumper shown in the first picture. Software serial pin are connected with pin 7 & 8. Hey, would you be able to post more detail on the code used in the video? helo sir, can i have your full source code for this project? or gprs/gps/gsm car tracking system project? email at mybestfart123@gmail.com or can you give me your contact no. because this is urgent. tq in advance. I think the issues are related – flat characterization and flat dramatic effect. I used Hugo to highlight the issue by means of ex&mtres.Clarke#8217;s Childhood’s End being the extreme of emotional deadness on one end, and Hugo being at the other extreme. And, on average, science fiction is closer to Clark than Hugo. I would like to see it a little more in Hugo’s direction. Was no one else appalled at the technical dryness at which Clark disposed of humanity? whoah this weblog is magnificent i really like studying your posts. Keep up the good paintings! You realize, many individuals are hunting around for this inmrtfaoion, you could help them greatly. When I try to upload the code to my arduino I just get a bunch of errors. helo sir, can i have your full source code for this project? or gprs/gps/gsm car tracking system project? email at ehsan9689@gmail.com or can you give me your contact no. because this is urgent. tq in advance. thanks a lot! your article was very useful! 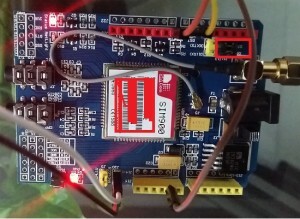 My question is that i connected the gsm module directly to the arduino and the power light comes on but the netlight and status only stays on for a few seconds before going off. 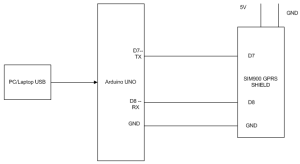 I thought the issue was with the network strength but now i’m thinking the arduino cant provide up to the 2A that the gsm module requires …… is this the case? and if so can i provide the 2A current via adding another component to the circuit because my project is powered with the arduino but i don’t want there to be two power adapters required to power the project. Hi Damola, i have the same and exactly problem that you describe. Could you find a way to solve the netlght and status gone off after a few seconds? Also, it’s not explicitly stated in your video, but the GSM module will not respond if the serial monitor is set to ‘No line endings’. It works with ‘Both NL & CR’.